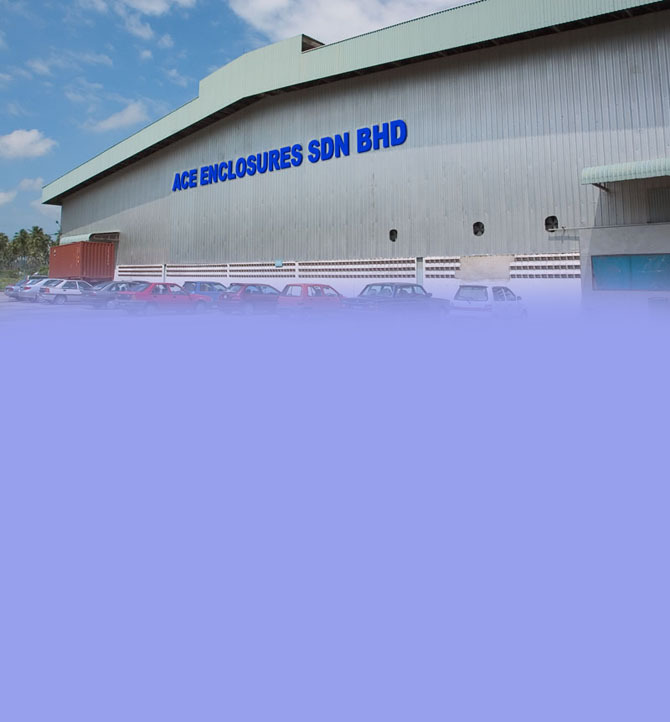 Since 1981 ACE Enclosures has been a designer, developer, manufacturer and supplier of sheet metal components, enclosures and racks and industrial storage equipment for electrical, electronic, telecommunication and data industries. ACE Enclosures is an independent, self-determined family organization. Our manufacturing facilities in Penang, Malaysia is ISO 9001 2000 certified. Its operation is governed by a quality-based manufacturing policy, which is reflected at all levels of the company so as to ensure maximum customer satisfaction. Besides its full range of standard products, ACE Enclosures provides OEM and customized service. It designs and manufactures enclosures to suit customers’ specific requirements. Dimensions, shapes, features and finishing can all be customized in accordance with industrial quality standards. Our distribution network ensures a greater degree of service and communication. Our priority goal is to offer you perfect solution of premium quality at value price.